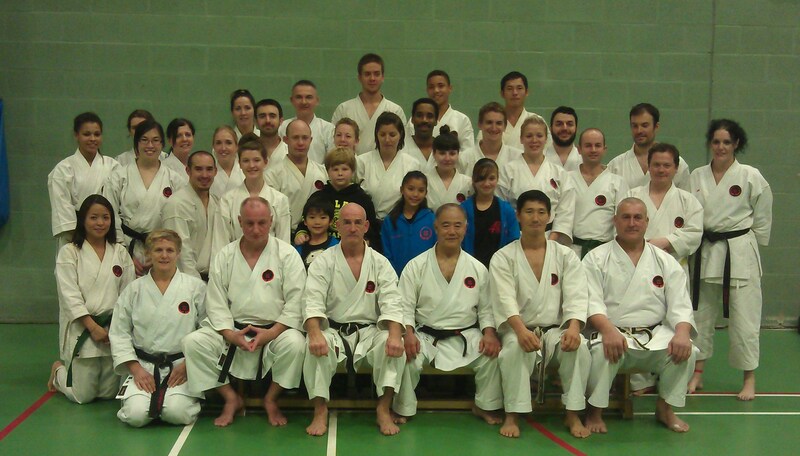 Tooting Karate Club is a friendly place to learn traditional Okinawan Goju Ryu Karate. Under the guidance of Sensei Linda Marchant, a 7th Dan Black Belt, you will learn a wide range of techniques from kicking and blocking, to traditional forms (or Kata), supplementary strengthening exercises, sparring, self defence and pad work. As a traditional style of Karate, our emphasis is on teaching fighting skills that are of practical use in self defence situations as well as building healthy minds and bodies. You can improve your fitness and confidence levels drastically through the practice of Goju Ryu Karate and there are many opportunities to train with masters as well as enjoy social and competitive events. When you join us, you are joining a vibrant club within a much bigger organisation that can give you direct access to some of the highest graded and most respected karate masters in the world. Tooting Karate is part of the English Goju Ryu Karate do Association (EGKA) headed by Sensei Ernie Molyneux, 8th dan and IOGKF, headed by World Chief Instructor Tetsuji Nakamura Sensei, 7th dan and Shihan Morio Higaonna, 10th dan. We have permanent premises in Wimbledon and there are formal classes throughout the week with additional training throughout the rest of the week. The dojo has a wooden floor and is fully equipped with all of the equipment that a traditional Okinawan Goju Ryu Dojo should have. It is walking distance from Wimbledon Town Centre or Haydons Road train station and there are numerous buses that pass right by the Dojo. Whilst we have a lot of students from local areas like Wimbledon, Kingston, Morden, Mitcham, Streatham, Balham and Clapham we attract students from all over London as well as Surrey. You are warmly invited to take a look through our website to get a better understanding about our style of karate. If you’d like to take that interest into practice, do drop us an email or make an introductory phone call and you will be most welcome to come and join in.